Wrestling's leading drill book has been updated to include new chapters, drills, coaching advice and practice planning. 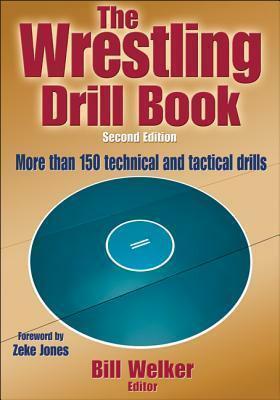 The "Wrestling Drill Book, Second Edition", is bigger, better and more comprehensive than ever. The "Wrestling Drill Book" features match-tested drills from takedowns, escapes, and reversals to riding and pinning combinations, each contributor breaks down a technique, tactic, or facet of wrestling for which they are renowned. Chapters unfold sequentially, moving from simple to more complex drills, each including setup requirements, descriptions of the action and key coaching points for maximizing the value of every drill. Detailed descriptions provide thorough instruction for proper execution of each move. This best-seller has helped wrestlers become champions and is a must for every wrestler and coach. Getting to grips with wrestling. Chapter1. Essential Movement Drills; Chapter 2. Footwork: Agility, Quickness, and Balance Drills (new chapter); Chapter 3. Takedown Drills (5 new drills); Chapter 4. Advance Throws and Takedown Drills (new chapter); Chapter 5. Escape and Reversal Drills (9 new drills); Chapter 6. Riding to Pinning Combination Drills (7 new drills); Chapter 7. Advance Pinning Combination Drills (5 new drills); Chapter 8. Conditioning Drills (11 new drills); Chapter 9. Effective Practices and Off-Season Activities (expanded). "The Wrestling Drill Book assists coaches from youth to college levels in developing championship wrestlers. It's a must-read." "Whether for wrestling or for mixed martial arts, the second edition of The Wrestling Drill Book is the one resource that athletes need in order to learn how to grapple like a champion." Bill Welker boasts more than 55 years of experience as a wrestler, coach, and official. As head sophomore coach at Wheeling Park High School in West Virginia, he was instrumental in producing three AAA state championship teams. Welker has been elected to four wrestling halls of fame, including the National Wrestling Hall of Fame. He has received the National Official of the Year Award and the prestigious Master of Wrestling Award from Wrestling USA magazine.